Blind or visually impaired people who are wearing the glasses use a phone app to connect to a live person, known as an “agent,” located somewhere in the U.S. Through the camera in the glasses, the agent can see what the visually impaired user cannot. His “talking” bathroom scale tells him his weight. “It’s not nice,” he joked. 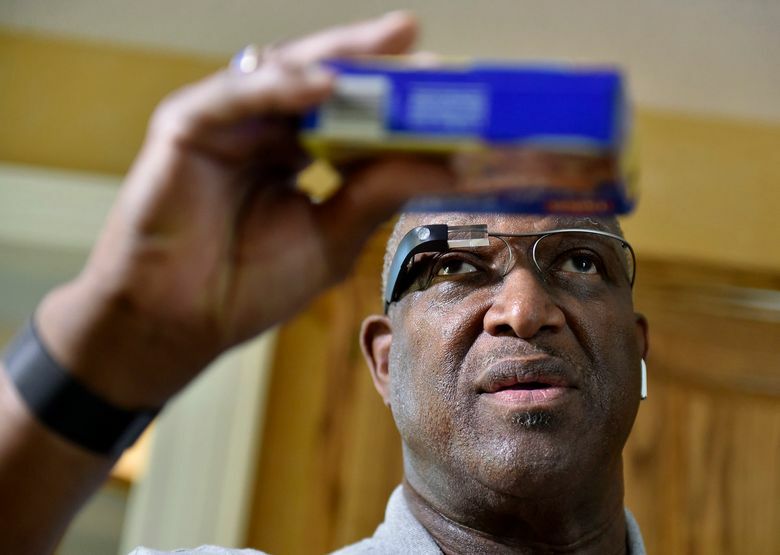 A diabetic, Mimms, 72, has a talking glucose meter to tell him his blood sugar. He has a low-tech white cane and a talking laptop computer. “We’ve had users go hiking on trails, finding their paper in the morning. You name it, we’ll do it,” said Amy Bernal, Aira’s vice president for customer experience. Mimms, who was tapped to test the technology as an early user, has been using the glasses for more prosaic reasons, such as shopping. At home recently, he used the glasses and an agent to read the cooking instructions on the back of a package of chicken tenders. The glasses and agent also help with general mobility. “One thing you can do is identify things along your path. You can discover things,” said Mimms, who after leaving the U.S. Navy earned his master’s degree in social work from the University of Kansas.